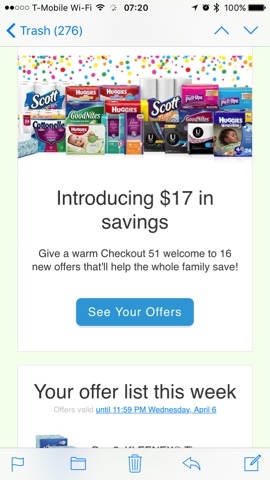 Checkout 51 with Huggies, Scott, Kleenex Rebates and more! This week Checkout 51 has some amazing rebates as well as the usual produce one! If you haven't signed up yet today is the day you should! Click HERE to sign up!